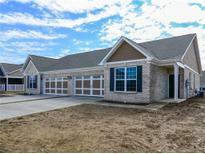 Find Prestwick, IN New Homes for sale. View Photos, Maps and MLS Data Now! Grant Park At Prestwick - Community is convenient to shopping, dining, parks, interstates and much more! Schedule your showing today! MLS#21603817. HMS Real Estate, LLC. Grant Park At Prestwick - Don't let this one get away! MLS#21603725. HMS Real Estate, LLC. Grant Park At Prestwick - Grant Park is convenient to all Avon. MLS#21598224. HMS Real Estate, LLC. Grant Park At Prestwick - Near by shopping, dining and interstates make this a must see! MLS#21598213. HMS Real Estate, LLC. Grant Park At Prestwick - Convenient to all Avon has to offer including shopping, dining, parks and much more! MLS#21591482. HMS Real Estate, LLC.